Dr Anwah Nagia is one of Cape Town’s foremost anti-Apartheid social activists and the Chairman of Element Investment Managers. He is also the Executive Chairman of Altius Investment Holdings, the Non-Executive Chairman of Cape Town Market and Africa Commodities Group and the Chairman of the District Six Beneficiary and Redevelopment Trust. In 2005, the Minister of Finance appointed him as Director of the Financial Service Board (Directorate of Market Abuse), with particular responsibility for market abuse on the JSE. This appointment has been extended for a further 3 years to the end of 2014. He is a founder member and pass Director of the Association for Savings & Investment South Africa (ASISA) and currently serves on the Nominations Committee. He serves on the Senate and Council of the University of Western Cape. He is also the Chairman of various NGO bodies including the Mustadafin Foundation, which is one of the largest relief and feeding schemes in the country feeding approximately 1.2m people per annum. 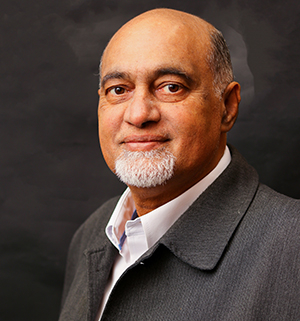 He is the founder member of the District Six Museum foundation and serves as an Executive Member on that board. Dr Nagia has been involved in many contempary and national issues and has spoken and lectured in Sweden, Denmark and United Kingdom on the Built Environment and related social issues. In 2004 Dr Nagia received an Honouree Doctorate together with the National Minister of Education Mrs Naledi Pandor in recognition for their work involving community and technology. In the late 80’s he was responsible for setting up learnerships for adult basic education in the clothing factories. In the mid 90’s he was the Deputy Chairman of the Western Cape Nursing Council of South Africa and has been involved in the protection of Woodstock and Somerset Hospital for the continued use of those facilities for the communities.